Such a beautiful and chic black-white-red outfit! You look perfect! You mix prints SO SO well! 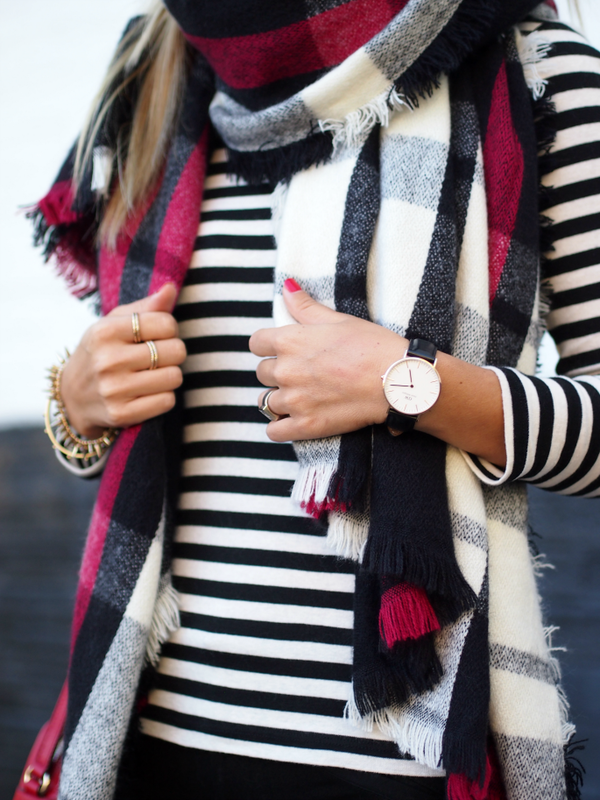 I love the stripes and plaid paired together! Gorgeous fall look! As usual, loving this look on you. So chic and transition-able. Love the color combo...so sharp! Such a gorgeous combo! Love it! I love this look! It's simple yet extremely chic. The scarf and the bag gives it such a nice pop of color. Love the pops of red in this look - really brightens it up! That scarf is perfection--I love it with the bag! Obsessed with this look!! Fall perfection, girl! That scarf looks so cozy! Such a great look. I love it! !